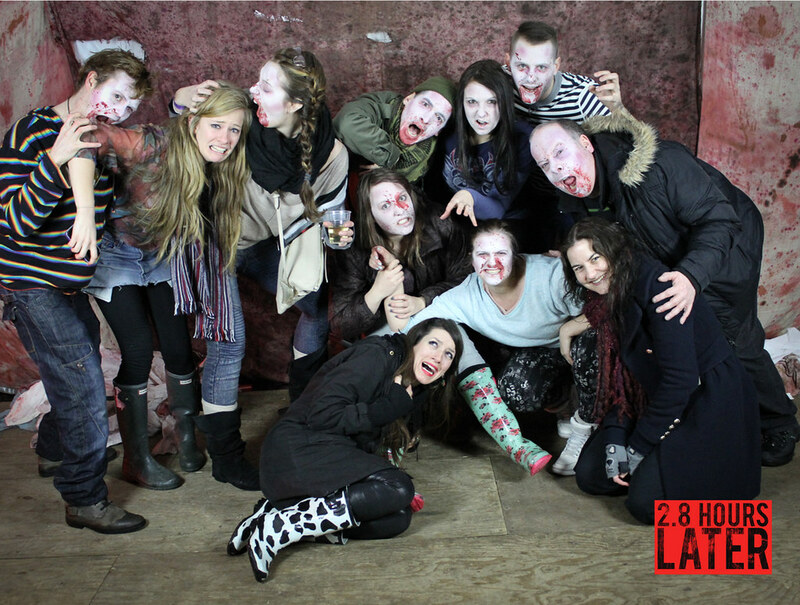 A few weeks ago 2.8 Hours Later, the live zombie city game came to Nottingham and two of our performers, Cat and Marilyn took part – as zombie and survivor. I forget how I heard about 2.8 Hours Later, the zombie apocalypse street game from Slingshot. There were whispers about players roving a night-time city, avoiding being tagged by the infected, encountering survivors and possibly being turned into the walking dead themselves. Then I was told by a friend that the 2.8 Hours Later guys were also looking for volunteers. Hey, I thought, I have some improv experience, I love zombies, I’m sociable, evil, and I look pretty scary even without make-up – why not? 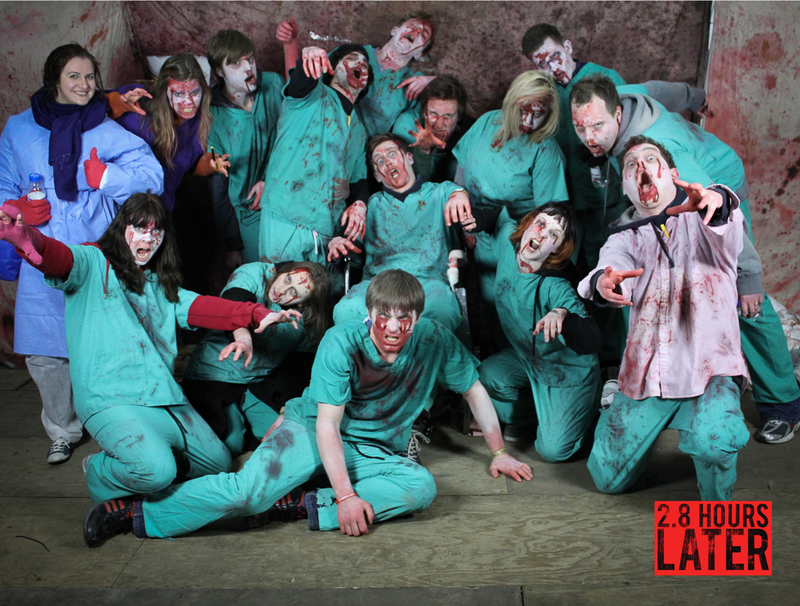 I applied online via their tantalising website (http://2.8hourslater.com) and soon received an invite to Zombie School. Zombie School! Who could resist a phrase like that? What the hell am I doing here? It’s the middle of the night, freezing cold and I am holed up in a disused discount furniture store in Sneinton Market, which smells like something has died in it. I’m trying to convince a bunch of jumpy strangers that a girl with jelly smeared all over her face isn’t going to bite them. From outside we can hear screaming, as another hapless group run the gauntlet of howling, ravenous zombies. No, it’s not the end of the world – I’m performing in 2.8 HOURS LATER, a zombie chase game. I’m playing a survivor and it’s my job to both terrify the players and send them to their next destination.